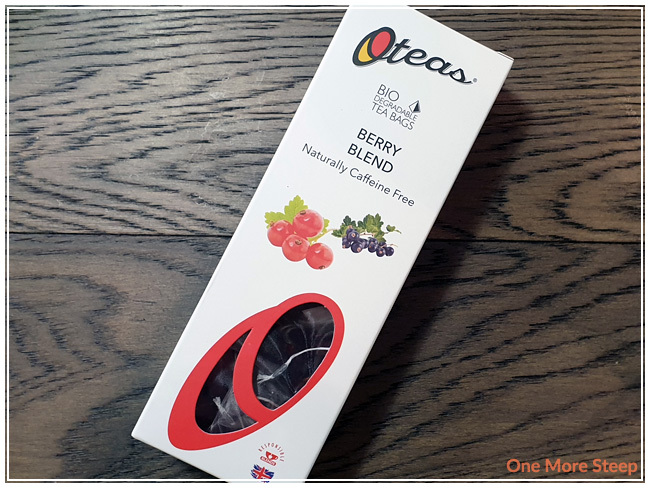 Oteas has provided me with Berry Blend for the purposes of providing an honest review. Another week, another Oteas tea to drink! 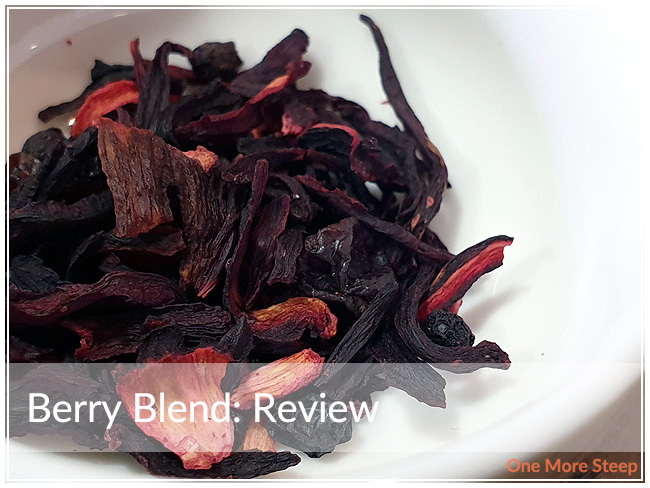 This week’s review is actually of a fruit infusion blend, called Berry Blend. The tisane comes prepackaged into biodegradable tea sachets, that came to me in a shrink-wrapped cardstock box. Berry Blend has a really bright, mixed berries aroma to it, which is really inviting because the weather is getting warmer where I am and it reminds me a lot of a fruit punch. Berry Blend consists of: currants, hibiscus, elderberries, grapes, blackberries, flavour, and raspberry fruit granulate. I did have to look up what ‘fruit granulate’ is, and the general gist of it is that fruit granulate is freeze-dried fruit pieces – the more you know! Oteas recommends steeping Berry Blend in 100°C (212°F) water for 5 to 10 minutes. I did an initial steep of Berry Blend for 7 minutes. Berry Blend steeps to a beautiful dark pink colour – it’s actually pretty close to what colour my hair is currently. There’s a really bright and fresh berry aroma from it. On first taste, I notice that Berry Blend has a really sweet, fruity/berry flavour to it. 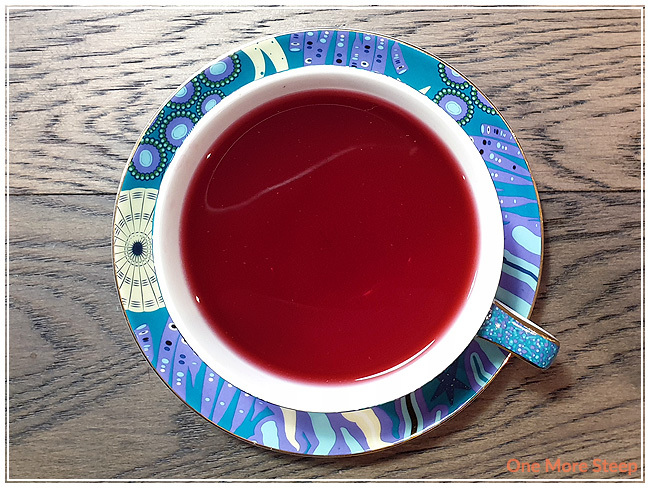 There is a tartness to it, which isn’t surprising because this fruit infusion has hibiscus in it and that generally gives drinks a pink colour and tart flavour. It is tasty though, and would make for an excellent iced tea. 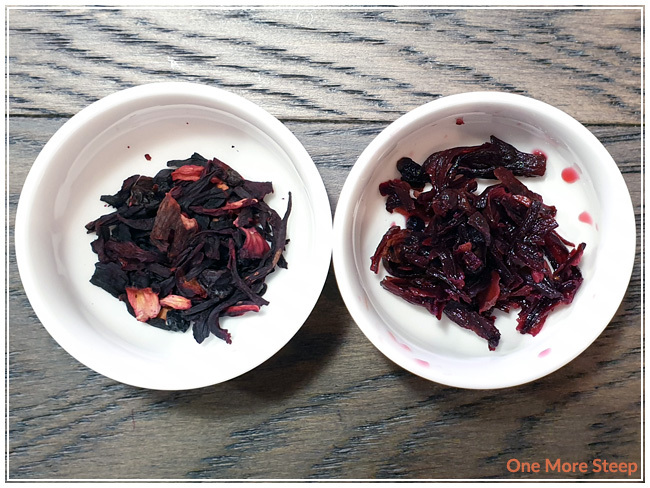 I attempted to resteep Berry Blend, but found that the flavours and colour were not quite where I wanted it to be in comparison to the initial steep. I would recommend Berry Blend for just one steep (and have it iced!). I loved Oteas’s Berry Blend. With he weather warming up, I’m really enjoying more teas and tisanes that taste good at a cooler temperature or iced. I really enjoyed drinking it because it had a great fruity flavour and the colour was just so intense! I can see this making a great iced tea during the summer and it’s quite refreshing because of the sweet and tart flavours. I bought Organic Creamy Earl Grey Tea when I was at The Secret Garden Tea Company for afternoon tea back in March. The retail side of their shop was full of tea paraphernalia (teacups and tea pots everywhere!) and I couldn’t help but make a little purchase since I was already there. This was one of the teas that was recommended by the server that my friend and I had, and while I didn’t end up getting it as my tea choice, my friend had and said it was “Really, really good!” so I had to give it at try at home. Organic Creamy Earl Grey Tea comes in a plastic-lined paper pouch that closes with a metal band. It’s not air-tight, but it makes for a nice presentation. If you’re like me, you have a lot of extra glass mason jars or tea tins on hand, so it’s an easy issue to fix. 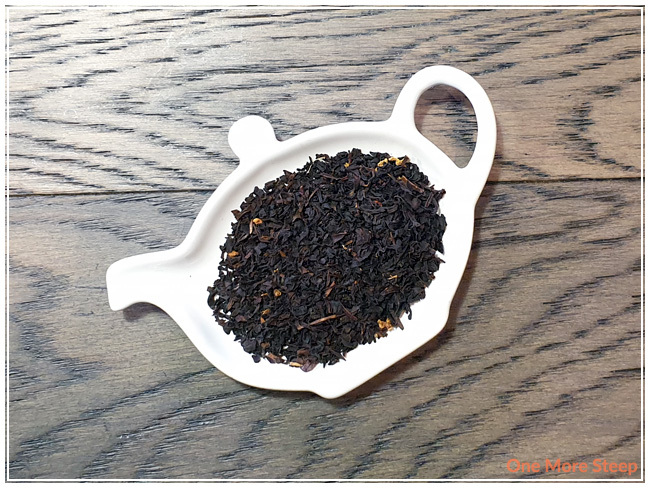 The loose leaf black has some nice citrus notes, with a hint of vanilla in the background. The packaging only mentions the name of the tea with no information regarding the ingredients or steeping instructions. I was able to find the ingredients list on the product page on The Secret Garden Tea Company’s website. 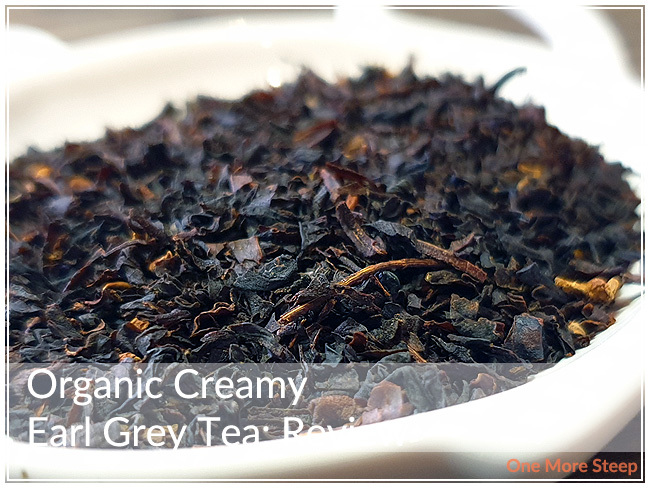 Organic Creamy Earl Grey Tea consists of: organic black tea, osmanthus flowers, and organic natural flavouring. I can definitely smell the bergamot and vanilla, which are two flavours mentioned on the product page. There were no steeping instructions for Organic Creamy Earl Grey Tea on either the packaging itself or on the product page online. I opted to do an initial steep with 100°C (212°F) water for 3 minutes. 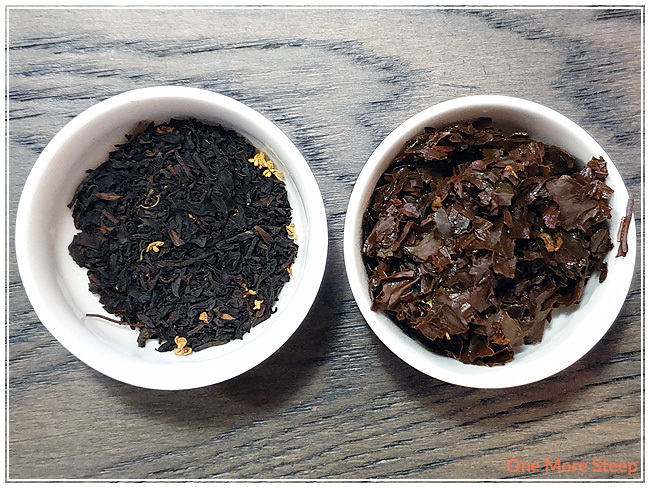 If you’re ever stuck on a tea because there’s no instructions included, you can check out my Steeping Times for Different Teas guide for suggestions on how to steep your tea. 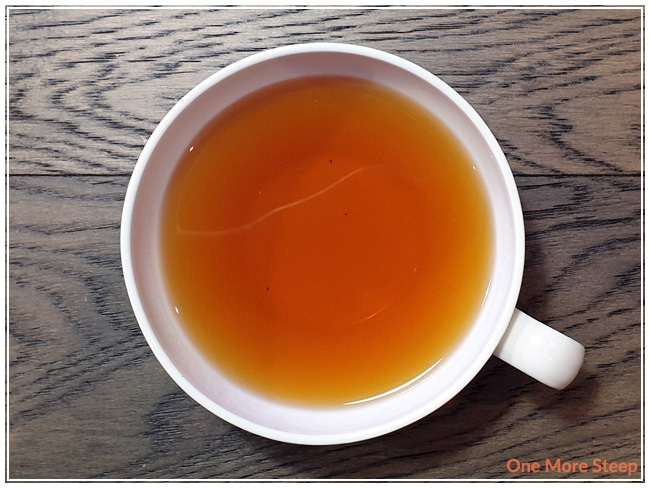 Organic Creamy Earl Grey Tea steeps to a nice golden orange colour. There’s a nice citrus aroma from the tea, with a hint of the vanilla in the background. I found the flavour to be quite pleasant – the bergamot is strong, and there’s a creamy vanilla flavour to it. 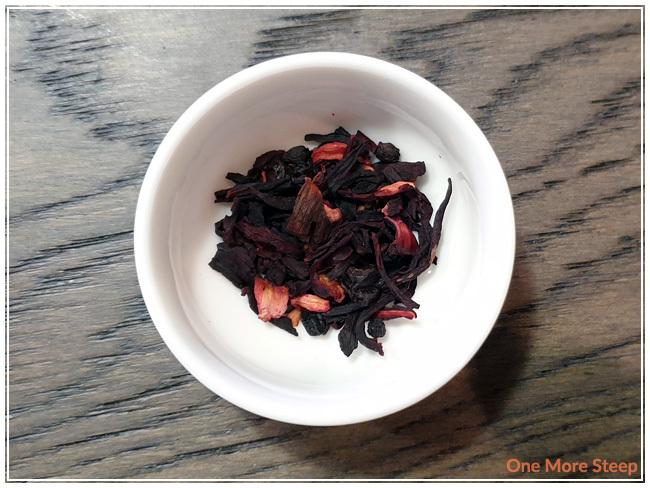 The black tea flavour is strong, and it has a nice boldness to it that has a slight malty note to it. I found that with an initial steep of 3 minutes there was no astringency or bitterness that I could detect. I tried it both straight and with a bit of added cream, which I found helped amplify the creamy vanilla flavour and didn’t temper the bergamot too much so it was still quite tasty. I resteeped Organic Creamy Earl Grey Tea twice, adding an additional 30 seconds for each subsequent steep. I found that the first resteep was quite similar to the initial steep – with less bergamot and vanilla. For the second steep, I found very little bergamot and vanilla flavour. I would recommend Organic Creamy Earl Grey Tea for just one more steep. 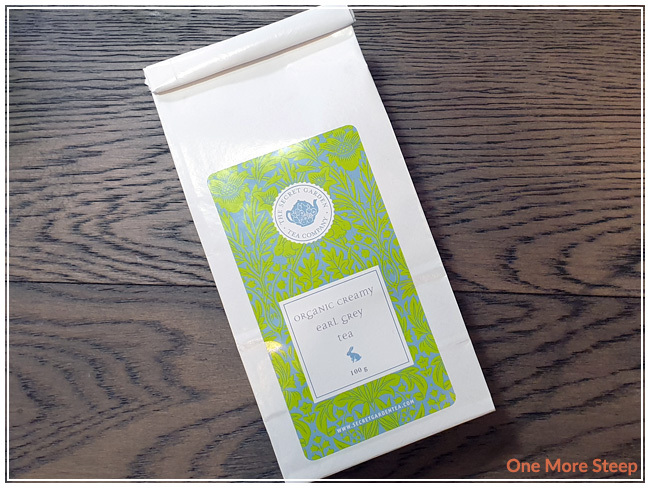 I loved The Secret Garden Tea Company’s Organic Creamy Earl Grey Tea. I can see why the server had made a recommendation for this tea as it’s quite delicious. I normally don’t find creamy Earl Grey teas to be that good, since I like to add my own cream/milk to it, but this one had a great vanilla flavour to it that really added to the overall creaminess and smoothness to the tea. It had a great mouthfeel texture to it, and it did great for resteep which is always important in my opinion! Maple Matcha was a tea that I opted to buy when I was placing an online order. It intrigued me mostly because I do love maple so I was curious as to how it translated in terms of flavour in a matcha blend. It came in a sealed, resealable foil pouch with a light green label on the from with all of the information about the tea. 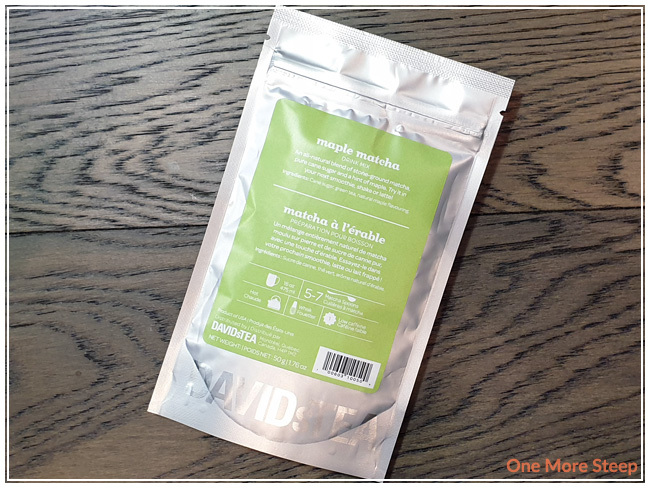 DavidsTea refers to Maple Matcha as a drink mix, although it is found under the matcha category on their website. Maple Matcha has a bit of a dull pistachio green colour to it. There’s a pleasant maple aroma, but it’s not as strong as say a maple syrup would be. I can’t really make out the aroma of the matcha base. Maple Matcha consists of: cane sugar, green tea, and natural maple flavouring. I am a bit disappointed that cane sugar is the leading ingredient, because that does mean that it is the most prominent ingredient in the blend. DavidsTea recommends whisking Maple Matcha in hot water, which is 85°C (185°F). I prepared Maple Matcha by sifting the drink mix into my matcha bowl, and then whisking it. 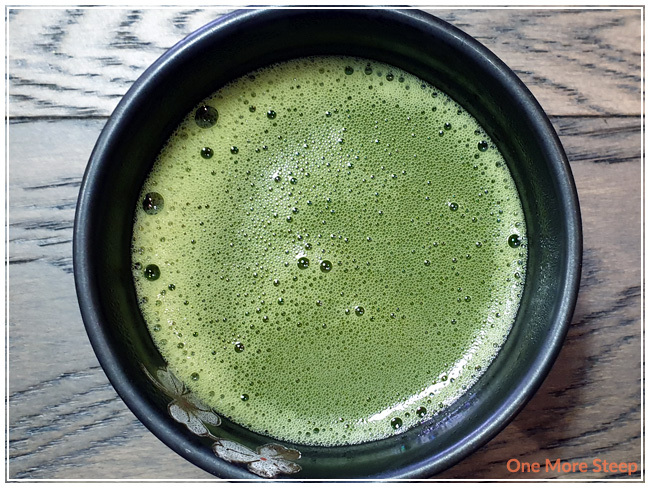 If you’re new to matcha, I have an article about preparing matcha. Maple Matcha easily whisks up and it was easy to create a fine layer of broth on the top of the matcha. There’s a sweet maple aroma from the tea. 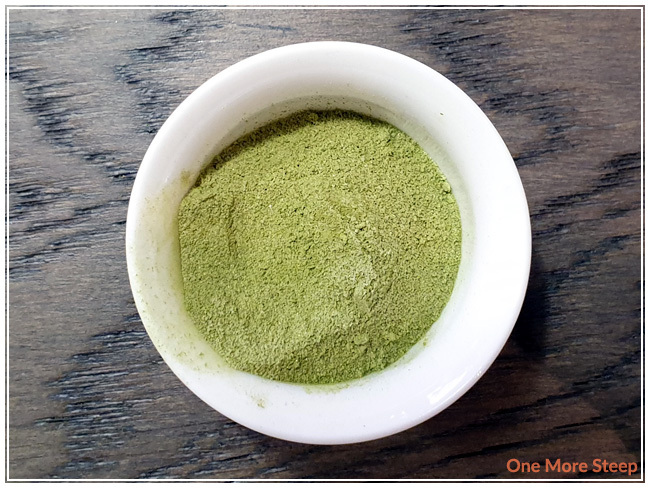 The flavour of Maple Matcha is primarily sweetness and maple, with a slight grassy background that is noticeable with each sip. I found it to be quite pleasant, although I feel like it could have had a little bit less sugar in it because it was almost too sweet. I feel like Maple Matcha would lend itself well to being added to a glass with ice and lemonade, or as a latte (either hot or cold). I don’t feel that Maple Matcha needs any additional sweetener added to it, unless you have an even larger sweet tooth than I do. As Maple Matcha is a (matcha) drink mix, it was fully used up in my initial cup. I thought that DavidsTea’s Maple Matcha was just okay. While I really enjoyed the maple flavour, I found this drink mix to be on the sweet side and I was hoping that the matcha would be more prominent in the flavour profile. 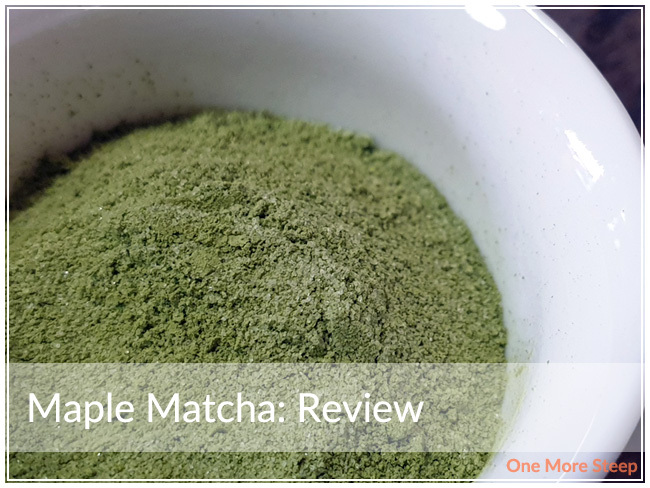 Maple Matcha is great if you’re looking for something sweet to drink that’s easy to prepare, it would make for an excellent matcha lemonade or a latte. Bonus points if you have it as an iced latte on July 1st in Canada.